Rural apartments within a farmhouse of great antiquity that has been renovated with the intention of accessing rural tourism without losing an iota of its history and tradition. 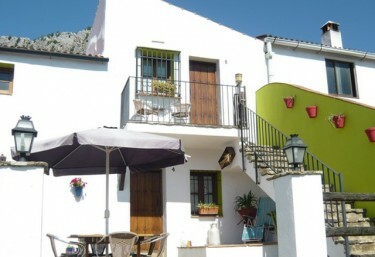 It is located in the heart of the Serrania de Ronda and the Sierra de Grazalema , a few kilometers from beautiful town of Malaga and in a natural environment of spectacular beauty. The exteriors present spacious streets with garden areas , native trees of the area and many flowers, leading to the terraces with outdoor furniture of the apartments. Another of the services available to users are the brick brick barbecues in which to prepare rich roasts and enjoy them with friends or family. 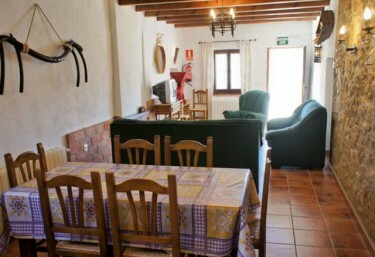 The cortijo lo compose 5 apartments , 2 of which have a capacity for 6 people and the other 3 with 4 seats, all of them have central heating, fireplace and television, a living room and a kitchen with kitchenware, 2 or 3 bedrooms and a bathroom fully equipped. 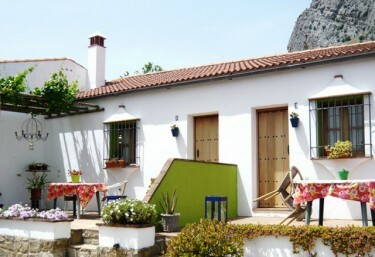 Besides, there are 2 romantic cottages ; each of them for 2 people; and 3 additional double rooms, for any type of rental. The pool comun, with lawn and sunbeds for sunbathing with stunning views of the Ronda , is another attraction of this estate designed to bring the comfort and convenience to visitors. They are the smallest apartments with capacity of 2-4 people , but equipped with everything necessary so that they do not miss anything to the users. 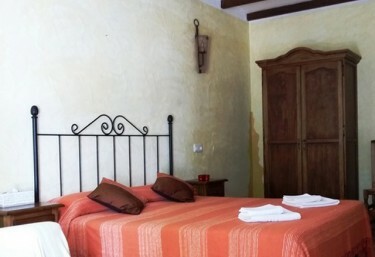 They have 2 double rooms , one with a double bed and the other has 2 single beds. The rest of the accommodation consists of a living-dining room and kitchen with sofas and TV, and a bathroom fully equipped. 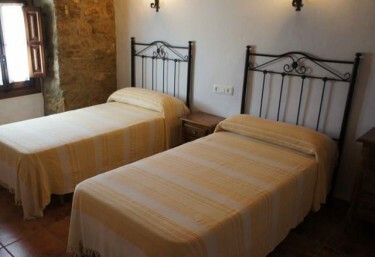 They are the large accommodations of the farmhouse, as they can accommodate from 2 people up to a maximum of 6. They have 3 double bedrooms , 2 of them have single beds, while the other has a double bed. They also have a room with TV and sofas and a kitchen with kitchenware, plus a bathroom complete. This apartment has all the amenities you need to enjoy the tranquility. 2 double rooms. One of them with double bed, and the other with 2 single beds. 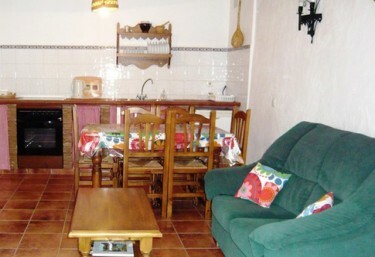 A full kitchen , equipped with appliances and household items. It is one of our family apartments, in which you will be able to rest without problems, and with all kinds of comforts inside. A fully equipped bathroom . 2 double rooms . One with double bed, and the other with 2 single beds. This apartment has all the amenities you need to fully enjoy each of the moments you spend here. 3 rooms. Of them, 2 have a pair of single beds ; and the one that remains, has a double bed. A fully equipped kitchen . It is a complete space and with all kinds of comforts. A pair of single beds. A complete bedroom in which you can rest without problems, and with all the features you need. 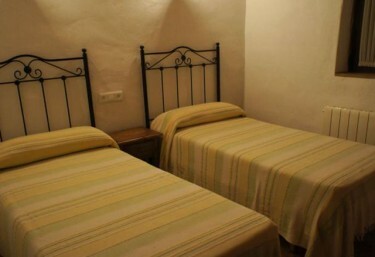 It is possible to rent this room individually, so you can have the best rest, and a greater intimacy. Possibility of integrating an extra bed. Living room equipped with fireplace . In this house rest is possible, since there are no amenities for enjoyment a maximum of 2 people. A room equipped with fireplace and eating area. The Serrania de Ronda is a region located west of the Andalusian province of Malaga y in which we find the Natural Park of the Sierra de Grazalema , natural environment of great beauty and where you can make a great number of hiking routes at the same time you know and enjoy a quiet environment. Its composition limestones and the different phenomena of karstic origin that have been given over the years have created many caves, such as the of the cat that has an underground river, or the of the pool, by what is an area with activities espeológicas. A few kilometers from the farmhouse we find one of the most beautiful and striking cities of the Spanish geography, Ronda , which presents a great architectural heritage highlighting the bullring and its bullfighting parties, or the old part with churches. 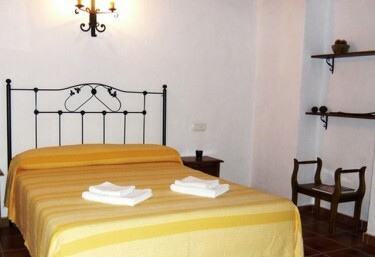 ¡15 % if you book a minimum of 7 nights!